On 5th January, the Inspire 4G was announced at the AT&T Developer Summit. The summit saw the announcement of several other 4G HTC mobiles and HTC Inspire has the pride of being one of them. As CEO Peter Chou of HTC Corporation said, the Inspire is one of its next generation HTC smartphones. The highlight of the HTC Inspire 4G android is of course, its 4G support, along with the fact that it is the first HTC mobile to come with the new Sense UI experience. We got a lowdown of the basics of the model and we will share them with you. The HTC Inspire design is an eye-catcher though not very different from usual HTC mobiles. The sleek chassis measures 122.9 x 68.1 x 11.7 mm and weighs 163.9 gm. No problem in using the phone for long conversations, it seems. What remains to be seen is whether the surface is friendly to grip. This is not a slider phone so do not expect an HTC QWERTY keyboard to slip out from beneath. We will wait and see how good the touchscreen keyboard is. But we hope the keys to be spaced out keeping the 4.3 inch display of the phone in mind. The display looked hot enough. Here is an S-LCD capacitive touchscreen that promises to show 16 million colors. It is integrated with Multi-touch input method, Proximity sensor and accelerometer sensor. The hardware looked cool enough. A 768 MB RAM paired with 4GB ROM sounds just great! All songs, videos and docs in one place. What’s better, they are putting in an 8GB storage card inside the box. The maximum capacity is 32 GB. So no room for complain here! A 1 GHz Qualcomm Snapdragon QSD8255 processor drives this handset. That sounds promising! With Snapdragon around, operations are usually very smooth. The question is, whether simultaneous operations will make the performance drag. Hope it doesn’t. With 4G here, connectivity issues are sure to be promising. It seems however, that the phone will support HSPA+ and not LTE (Long Term Evolution). 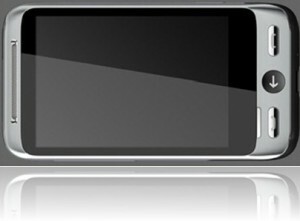 Details are pretty sketchy but it looks like the Inspire will have a platform similar to HTC’s own EVO 4G. There is 3G support too and HTC is promising users a 14.4 Mbps speed in HSDPA and 5.76 Mbps in HSUPA. Surfers can also avail GPRS and EDGE. Basic phone syncing can be done with Bluetooth 2.1 and USB 2.0. Infrared is missing here, but the rest looks more than enough. The presence of Adobe Flash 10.1 means surfers will not have a problem with the videos and flash images. The Android Froyo 2.2 OS is behind all performances in the HTC Inspire 4G android. With HTC Sense along with the latest Android OS, here seems a deadly combination at work. The inbuilt HTC apps are cool and include widgets like Digital Compass and Google Maps. A Google search feature is set to satisfy all your queries with one click. Networkers are going to love the huge number of chat, mail and social media applications thrown in here. There is Google Talk, Gmail and lots of other apps for fast communication. There are also dedicated Facebook and Twitter applications. GenX HTC users will love the Picasa integration and the dedicated YouTube application. The multimedia features of this new HTC mobile are pretty decent. The phone can play a number of video formats like H.263, H.264, Xvid, DivX, WMV9 and MP4. The HTC Inspire HD support only means the quality is sure to be above standard smartphone quality. There is only one camera here. The high quality, inbuilt 8 MP HTC Inspire Camera is equipped with dual-LED flash, face detection, geo-tagging and autofocus. It can shoot images at a 3264×2448 pixel resolution and videos at 720 p. Sounds promising, but the actual quality remains to be seen. The audio capabilities sound cool. The phone is friendly with audio formats like AAC+, MP3, WAV and WMA9. There is also a Stereo FM Radio with RDS. Good for everyday users but the question is, how the listener experience will be. Distorted sounds are so annoying and we would love the HTC Inspire Sound to be loud and no less clear than the iPhone. What about basic functionalities? As we have already mentioned, you are getting an onboard 4GB plus 8GB memory card support. That only means you can store a practically endless number of call information on this handset. There are SMS, MMS, Email and Push Mail capabilities as also an Internet Messenger Facility which means the set is virtually loaded with basic communication features. An arresting and really useful feature of this phone is the context-aware ringtone facility. Leave it in the bag and it will ring louder to grab your mind. Take it out and it will go silent automatically. Sounds pretty cool, huh? We have to see how it actually works out. A standard 1230 mAh Lithium Ion battery powers this mobile phone. Do not have great expectations. HTC promises 6 hrs of talk time. We hope it runs 5 hours with heavy usage. The standby time is reportedly around 372 hours. As of now, the Inspire comes in two variations. Brown and black are the two HTC Inspire colors. AT&T is the official HTC Inspire carrier in the US. The smartphone is set to cost around $720.16 in the United States. In the UK, HTC Inspire cost is going to be somewhere around 320 pounds. Its price in India is supposed to hover somewhere around Rs. 35,000. Are you on the look out for the latest contract phones? At Dialaphone they have contracts available on a range of different networks at different tarrifs so browse their deals online.